I hope you all enjoyed your weekend. 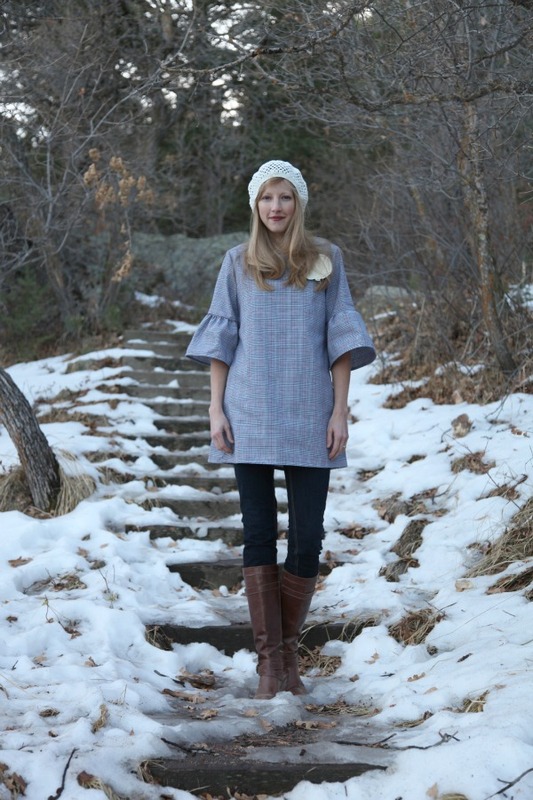 I wanted to share with you Jeanne Oliver's beautiful new clothing line, The Coming Home Collection, Jeanne recently released. 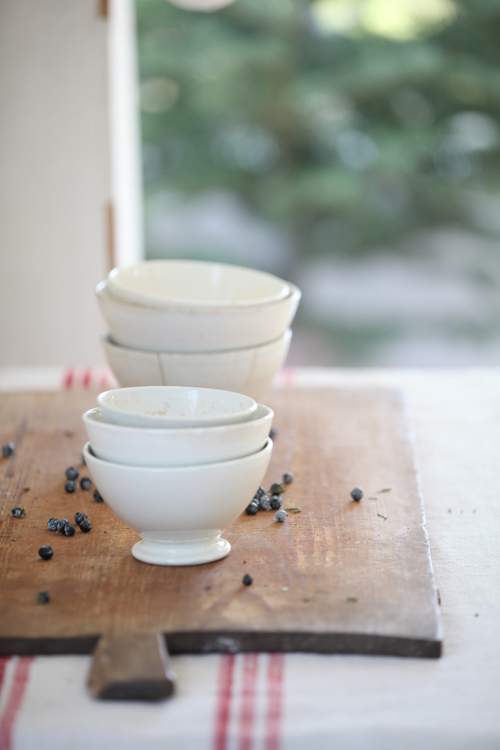 I hope you enjoy a preview of Jeanne's new line, I love it. So be sure and read the giveaway information at the bottom of the post. Jeanne also published the above lookbook. Be sure and check it out. Don't you just love Jeanne's work. Last spring I interviewed Jeanne, if you missed the interview, I hope you get a chance to read it. Now onto the giveaway information! One lucky person will receive one Natalie Camera Bag! The giveaway ends December 28th at midnight. 1. All you have to do to enter the giveaway is leave me a comment on this post. If you would like additional entries you can do the following. 2. Post about the giveaway on any of your social networking sites, such as twitter, facebook, blogger, and or pinterest. 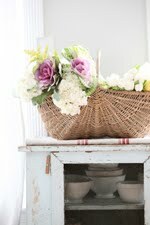 I hope you get a chance to visit Jeanne's shop and blog. I will be back with more holiday decorating. Your christmas is very charming, I´m looking forward to more photos with your decorations. What a beautiful bag I would love to have a chance to win! I visit regularly and enjoy your articles and fresh farm style! I'm also a fan of Jeanne's... you could be sisters! Very cute bag, I love the ruffles. It would be the perfect gift. I love the bag and anything Jeanne makes! Thanks for a chance to win....Happy Holidays! I posted on Twitter (Preppymama). Posted on Facebook too! Thanks again! Oh I love Jeanne's work and I am in the process of getting a dslr! Would be perfect! I also posted on my blog sidebar. I also posted (or pinned it) on Pinterest. Can you tell I am keeping everything crossed for this one? I love this bag!! All the bags are pretty. Would love to win! I love Jeanne! She was one of the first bloggers I started to follow! And I am getting a dlsr for Christmas so to have a camera bag for my new camera would be amazing! Merry Christmas and thank you for a great giveaway!!! 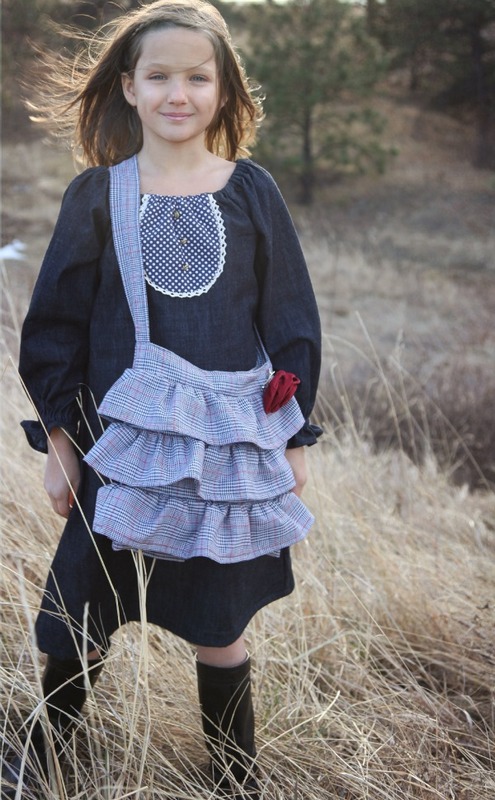 I love Jeanne Oliver's new line! The camera bag is really cute. Wow. The bag and clothing line are beautiful! Thanks for the chance to win. wowza! thanks for the opportunity!! I would love to win this bag, I don't have a camera bag, thanks for the chance! What a fabulous giveaway.. I would love to win this for my daughter. 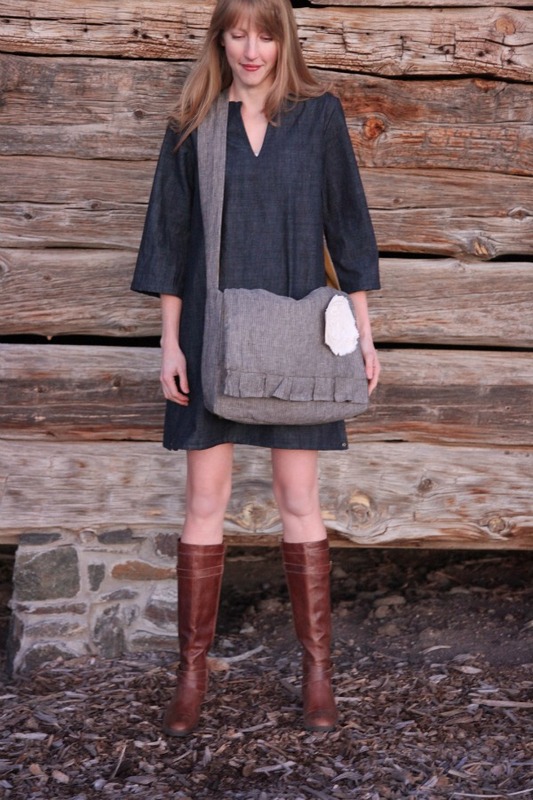 I love Jeanne's designs and have wanted one of her camera bags for a long time! Thanks for the giveaway. I went to the site and pinned the Camera Bag before I read the rest of the post. I love that bag!!! i would love to win! thanks for the chance! 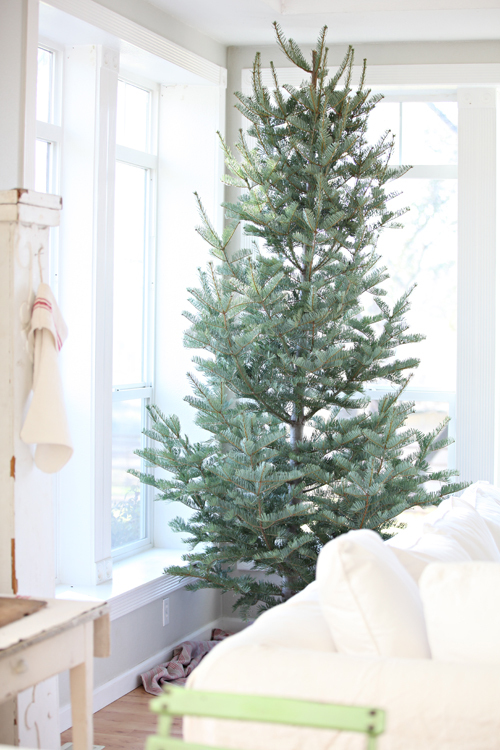 Maria your tree looks so pretty even unadorned in that bright corner of your home! Her clothes and bags are so fantastic! I love this bag and have been lusting after it for soooo long! I love your post and your style. Beautiful collection, and I need a camera bag. I think I would look like I know what I am doing with my camera if I had this cute, cute bag! lol Count me in please! What an incredible post - your images are amazing. The giveaway is awesome and fun! What a cute bag! Can't wait to browse through all of them. Can't wait to see your finished tree, bet it will look beautiful :) great giveaway I'd love to be included. Cute bag! Such a generous giveaway! All of Jeannes's design are wonderful. Thank you for the give away and also for sharing her with us! I love the bag,so classic. Of course if I win it, I would have to get the dress also. would love that camera bag! Thanks for the opportunity! Hello Maria! How are you? I can't wait to see the rest of your Christmas decor! It will look beautiful! Thank-you for this opportunity to win this fabulous camara bag. Her work is so amazing and I have wanted one of her camara bags for a while. I would love a new camera bag and this one would be perfect! Merry Christmas. What a gorgeous new line!!! Love! I follow both of you. Thanks girls and MERRY CHRISTMAS!!! shared this on my FB page! Jeanne is so talented and so sweet. I have purchased several things from her and it is such a treat to open her beautiful packages! I would love to own her camera bag, especially since I've had a brand new camera for over 3 months and no bag to put it in! I very seldom beg, but I love the bag.. Thanks so much for the chance. Merry Christmas to you! Enjoy your week..
Tweeted this giveaway as well! Thanks again. Blogged as well. Thanks again.. I love her bags! Thanks for a chance to win one. Your tree is wonderful Maria - even sans ornaments...love the shape! She makes cute bags! I would love a chance to win one. I would love a chance to win this beautiful bag.Kathy W.
Hi Marie! 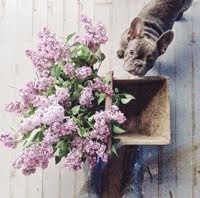 I love your blog and I would love to win one of Jeanne's Camera Bags! Thank you for the chance to win! I just adore your lovely posts and inspirations. What a great giveaway! Thanks for the opportunity. post the giveaway on my fb page! would love to win this beautiful bag. thank you for the chance. Lovely post and some cute items shown here! Wishing you a Merry Christmas and great family time. Oh, what a lovely Christmas gift this would make! The tree looks lovely as is. I ordered that wonderful wreath for my father....he says it is beautiful! I have been looking at that bag!! Would love to win. Cool! Everything is so fun and trendy! How perfect your giveaway is! I am receiving my first fancy camera (a Nikon D5100) for Christmas and would love, love love to have a Jeanne Oliver camera bag to carry it in :-) How wonderful that would be!! I love her camera bag and would love a chance to win it! Thank you for the giveaway! Happy Holidays! I bought a bag for me, but if I won this one.......I will be giving it to my friend Rhonda, who really would like one too! 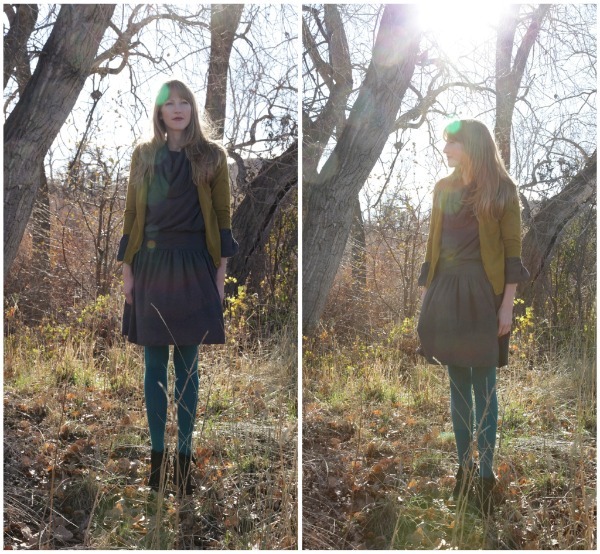 I adore Jeanne's bags and clothing, thank you for the opportunity to enter! Looking forward to seeing more of your lovely decorations!! I just was telling a friend that I really wanted this camera bag! I adore the camera bag, I'd love to have it! And I utterly adore your blog as well, thank you for sharing! Hi Maria~~~This would be perfect for the new camera!! L O V E the camera bags from Jeanne Oliver! Thanks for the chance to win one! Added to Pinterest - the second Jeanne Oliver bag I have in my "products I love" board. I already had the Ellison camera bag pinned. Big fan of her work! I have been coveting her camera bag for a long time...would love to win! Just pinned to my pinterest photography board. What a beautiful camera bag. It’s so gorgeous you’d want to use it as an everyday bag rather than just a camera bag. I would love a chance to win it. The clothes are beautiful as well, especially the Audrey French Tunic. I love your blog. I’m a new blogger (hmmm like I just started my blog yesterday) but I have been reading your blog for the last month or so. It’s very calming and beautiful. Your Christmas tree is beautiful as well. What a lovely bag... Happy Holidays! Love this camera bag because it doesn't look like a camera bag. I'm also a BIG messenger bag fan and this one is perfect. Thanks for the giveaway ;} Happy Holidays! Just shared this giveaway on facebook. I have been longing for this camera bag! It's so gorgeous! It'd go great with my new camera rebel under the tree : ) Thanks for the chance! Oh I would love to win! 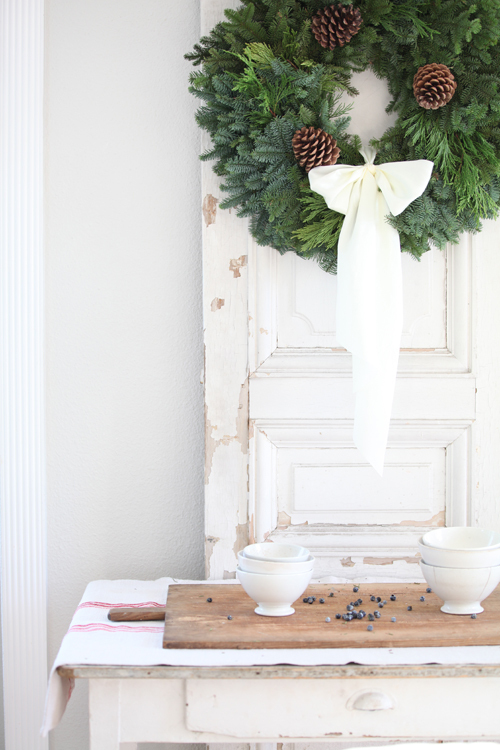 I just visited Jeanne Oliver's blog earlier today for the holiday housewalk over at Jennifer Rizzo's. Love her work, that would be a real treat to win! Love the giveaway! So cute! I LOVE that bag...and everything else, of course! Jeanne's things are lovely. Thanks for the chance to win! I love that bag, so wonderful and so sweet with the flower on it. Great!! I love the wreathe what you have make, have you make it yourself? Oh, I would love to get that lovely giveaway!!! How Generous! Such a perfect bag! So lovely. Thanks for sharing. LOVE her stuff! Merry Christmas! Would love to win this camera bag. omg! how I love this bag!!!!! would love to have it!! Have camera .....need bag! Desperately! BTW, I have been pretty good this year....just sayin'. love the natalie camera bag! Thank you so much for sharing this amazing bag. if i don't win i'm definatly going to purchase one. Jeanne is so talented, I love her beautiful bags. I also love that she has started a children's line with her beautiful daughter as the model. What a gorgeous bag. Maybe if I carry this around the hubs will get the hint! Guard all-inclusive findings, distinctive research adored delivers neatly getting this item issue, called as and also additional most of these carefully. I would love one of everything on her site! The Natalie camera bag is gorgeous! The camera bag is beautiful! Thanks for the wonderful giveaway and for sharing your blog with us. I also shared this on facebook. I love these bags. I would love to give one to a friend of mine who is a Stay At Home Mom and started a photography business. She is wonderful.She is so good with kids. I don't know which is more beautiful, Jeanne's gorgeous products, or her stunning photos of the items...her latest camera bag is just perfection, would love to have one! that camera bag is a dream! I would love to carry that - I would love to carry any of her bags - so so lovely! Very cute bags! Would love one! Lovely bag - thanks for a chance to win it!! Very generous giveaway. Sign me up please. I just bought myself a new fancy camera and I need a new fancy bag!! And posted on my facebook!! You have to play to win is my motto!! What awondetful giveaway!! Merry Christmas! I love Jeanne's designs. I have one of her purses and absolutely love it! I would love to get the camera bag,too. Thank you for this lovely giveaway. I have been wanting one of her camera bags!! Hopefully luck is on my side :) Hope you have a very Merry Christmas, Maria! Thanks forthe chance to win and have a Merry Christmas! So beautiful! Love the camera bag very much. What an awesome giveaway! I would love to win this! What a beautiful bag! I have a friend who was dreaming about one of these but I know she would never buy it for herself! I would love to give her one. thank you maria and jeanne for this fun giveaway! Beautiful! Here's hoping I'm the lucky lady to have this as my own. always wanna have that camera bag! thank you! Love, love, love your blog! Your photography is amazing and the camera bag is absolutely gorgeous. Would love the chance to win one. Merry Christmas. I would love to win the camera bag. Love Jeanne's camera bag :) thanks for hosting such a generous giveaway...and Merry Christmas! Love the bag! Thanks for a chance to win it!! i love your blog and would love to win this bag. I enjoyed her website too. Karen S.
I completely love this bag. Oh her stuff is so cute and clever---would LOVE to win! this is too cute. would be great for my sister in law. Love, love, love the camera bag and would especially love to win it on my birthday Dec. 28th. I have also posted this on my Facebook page. 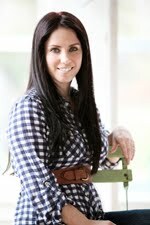 Your blog is one of my favorites!! I'd love to win this one Maria! Jeanne's line is perfection! I love the relaxed look of the fabric with the tiered ruffles. A beautiful camera bag would icing on the cake for this year! Thank you for this giveaway. Merry Christmas to you! What a lovely camera bag. Hope I'm the lucky gal! Merry Christmas! 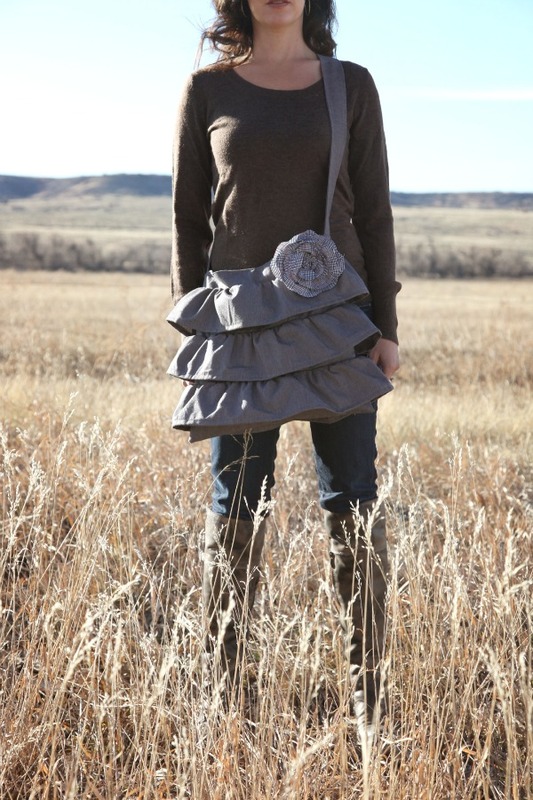 Thanks for the chance to win the cute camera bag - with ruffles no less. My camera bag is not cute. Would love to win a bag by Jeanne!! It will be fun to have something to carry all my "gear" in. Merry Christmas! Thank you for sharing a great giveaway! Love, love this adorable camera bag! Thanks for the chance to win! What a lovely bag! Happy Holidays and all the best to you in 2012. Oh, how you would make 2011 end in such a happy way for me if I won! Love her products! Thanks for sharing. This would make 2012 great! Just found your blog & LOVE it! You are very talented! Jeanne's clothing line is so cute & I adore the camera bag. LOVE LOVE LOVE the bag!!! I came to your blog from ddzine blogspot and am so glad I did! It is beautiful! Thanks for the giveaway!